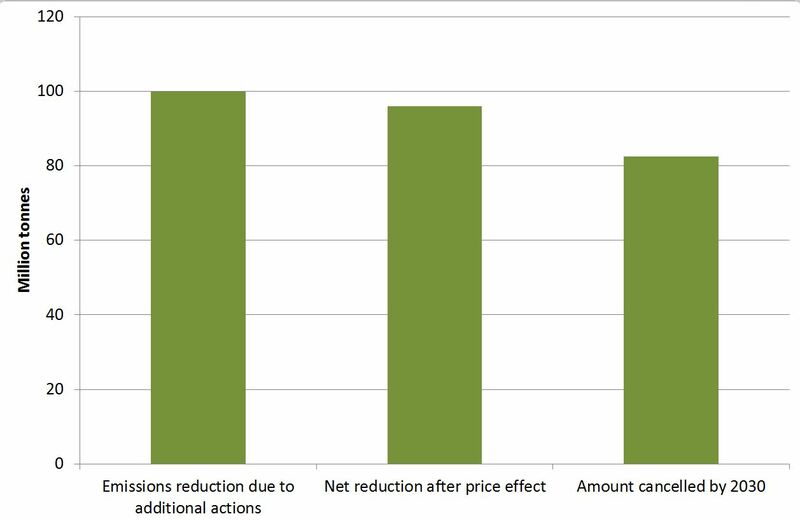 About a year ago I looked at whether additional actions to reduce emissions in sectors covered by the EUETS do in practice lead to net emissions reductions over time (Puncturing the Waterbed Myth, October 2016)[i]. It is sometimes claimed that total emissions are always equal to the fixed cap, and by implication additional actions do not reduce total emissions. This is sometimes called the “waterbed hypothesis” by analogy – if you squeeze in one place there is an equal size bulge elsewhere.